Follow the steps below to create a new label to be used with Automation Suite using Avery Design Pro 5.0. 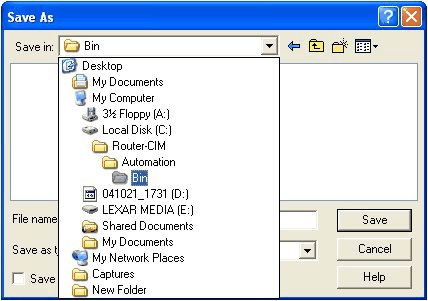 Using your windows explorer, go to C:\Router-CIM\Automation\Bin and copy the file called Label.dbf into the folder that you just created. While your there, make a copy of the original RouterCIM.zpd file that is in that folder also. 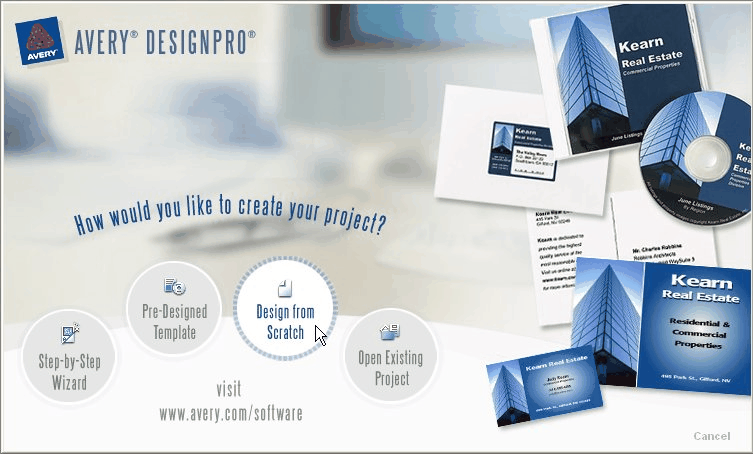 At the Start Screen for Avery Design Pro, click ‘Design from Scratch’. At the Select Template screen, choose the label you would like to use and click ‘OK’. For this tutorial, I will be using the 8464 shipping labels. This screen shows actual label that you chose in the previous step. 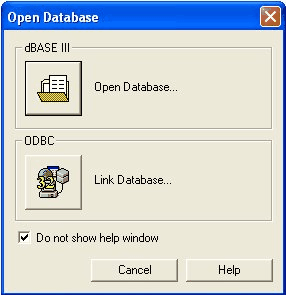 Click on the 'Open Database' icon. 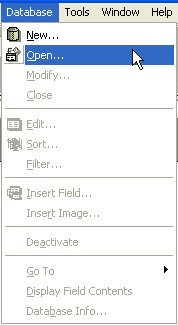 After opening the Template folder (or whatever you called it), select the label.dbf and click ‘Open’. 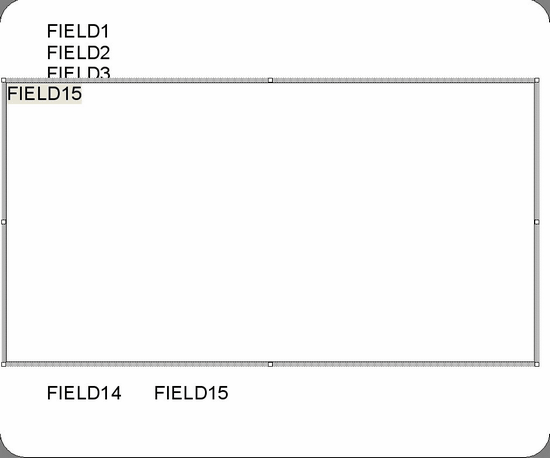 At the next screen, select ‘Insert Fields’. 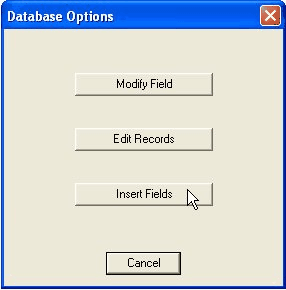 This will open the Insert Fields box. The next few images will show Field descriptions. 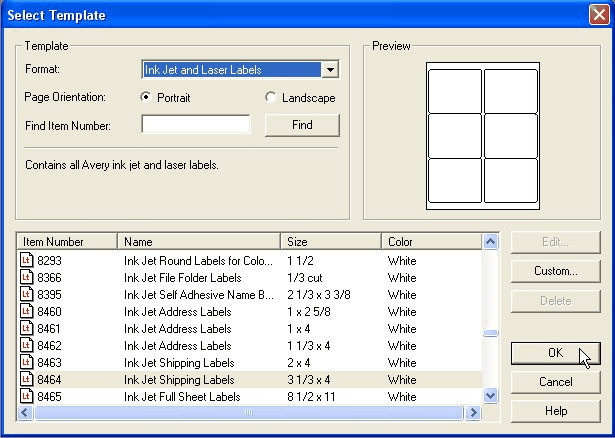 Using the Insert, Space, and New Line buttons, you can make the layout for you’re your new labels. 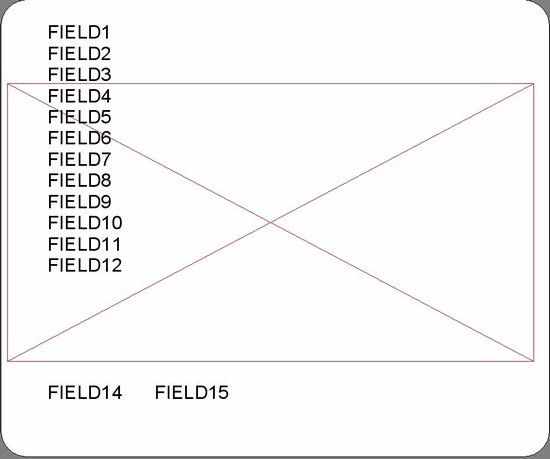 Because of the size of this label, I was able to fit all of the fields on this label. Remember, the size of the label you choose dictates how much information (or how many fields) you can actually place on the label. 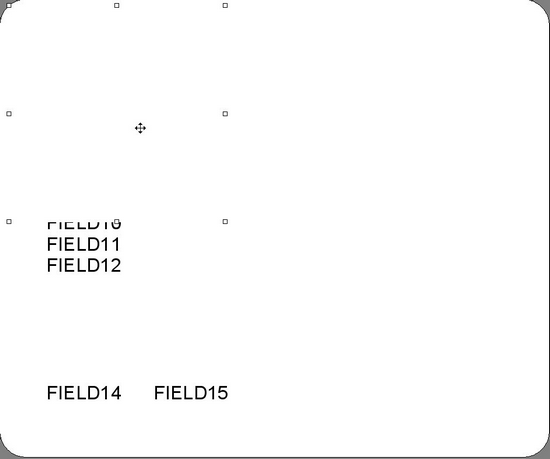 Notice the placement of fields 14 and 15. This will be important because placing it at the bottom of the label; these fields will be at the bottom of the Bar Code. 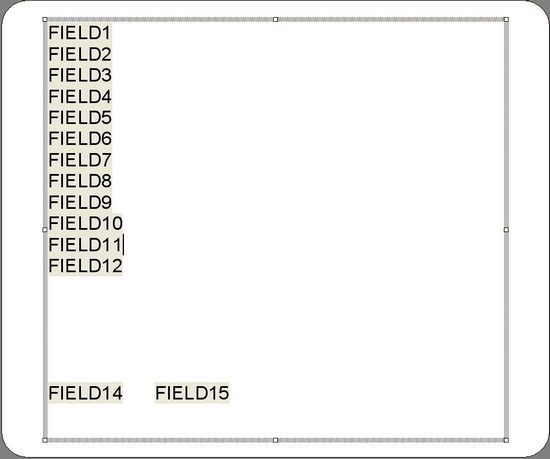 Field 13 is the graphic that can show the picture of your part on the label. 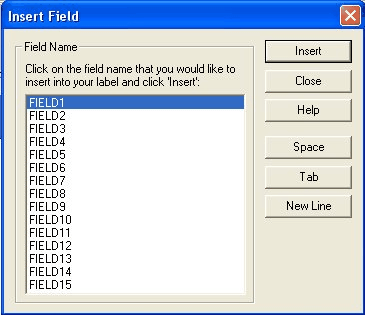 Choose Field 13 and click 'OK'. By default, the graphic is placed in the upper left corner of the label. By grabbing and dragging, place the graphic box in the location you would like your graphic it be placed. For this example, I have placed the graphic in the lower right corner. 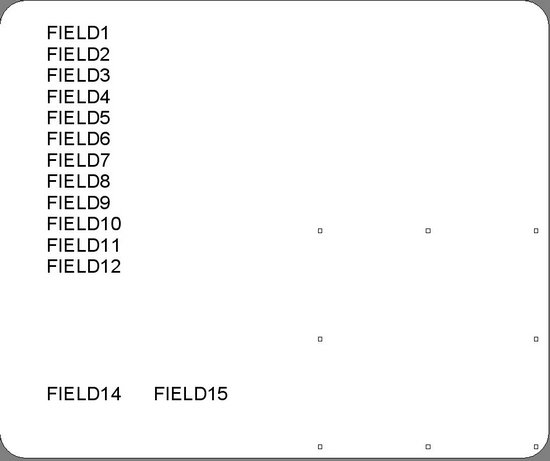 Field 15 is used to place a Bar Code graphic on the label. 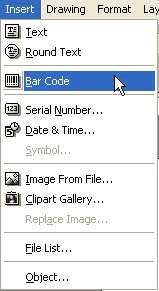 First, from the Insert pull down menu, choose ‘Bar Code’. 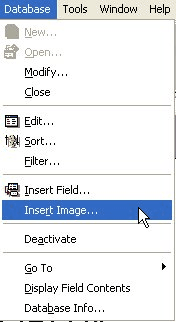 Your cursor will now change, drag from the upper left to the lower right to create a box. 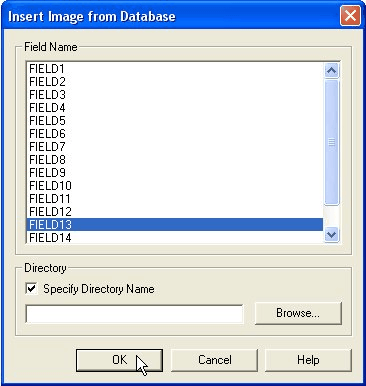 After the box is created, from the Database pull down menu, choose ‘Insert Fields’ and click on Field15 and click ‘Insert'. When finished, your label should look like this. Highlight the bar code image and right-click on the dotted edge. Select 'Format Bar Code...' for the list. 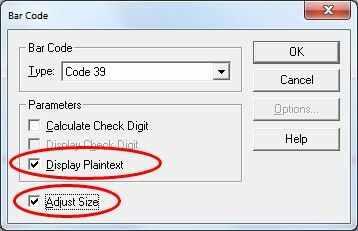 You want to make sure that 'Display Plaintext' and 'Adjust Size' are selected. Now it’s time to save your label. Choose 'Save’ or 'Save As’ from the file pull down menu. The Save in: should be set to C:\Router-CIM\Automation\Bin. If it is not named RouterCIM.zdp, it will not work. The only choice you have is to save it as a .zdl type at this point. In the File name: type in RouterCIM.zdp and click 'Save'. 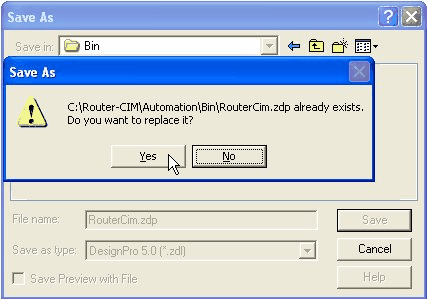 Copy the label.dbf file from the Template folder created in the beginning of the tutorial to the C:\Router-Cim\Automation\Bin folder and choose 'Yes' to overwrite the existing file. 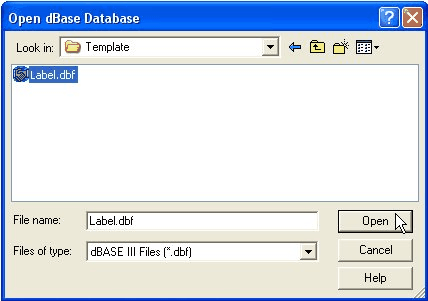 Then delete the copy of the label.dbf file in the Template folder you created. You are finished….run a job through Automation. When the job if finished and you open the Data Folder, you will see a RouterCIM.zpd file. Double-click on it. 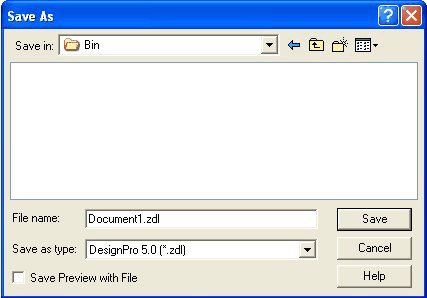 You will probably have to set the path for windows to open this type of file. 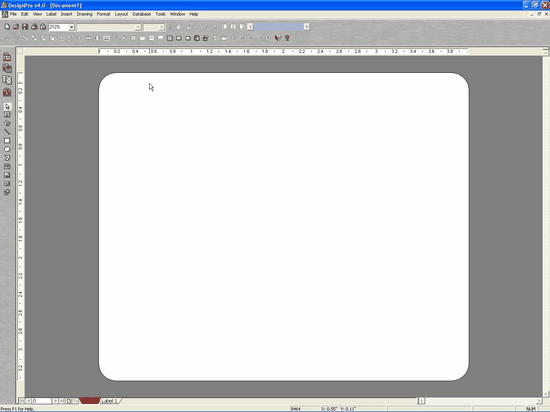 The application to use would be the Labeler.exe found in C:\Program Files\Avery Dennison\DesignPro 5.0 Limited Edition folder.